BBC Interview With Joe Golden On Project Storm Fury | Climate Science: Roger Pielke Sr.
Fifty years ago the USA launched an ambitious attempt to control the weather. 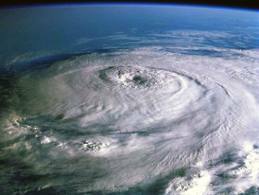 Its aim was to change the course of hurricanes away from populated areas. Hear from Joe Golden, who worked on Storm Fury. Fifty years ago the USA launched an ambitious attempt to control the weather. Pielke, R.A., Jr. and R.A. Pielke, Sr., 1997: Hurricanes: Their nature and impacts on society. John Wiley and Sons, England, 279 pp. Pielke, R.A., 1990: The hurricane. Routledge Press revivals 2011, London, England, 226 pp.